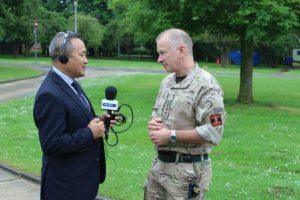 On Tuesday 30th May 2018 Colonel Brigade of Gurkhas, Colonel James Robinson, opened the new BFBS transmitter at Imjin barracks, Gloucester. Broadcasting on 1278 AM it now transmits BFBS Gurkha Radio to the more than 100 Gurkha personnel and their families who are part of the Allied Rapid Reaction Corps (ARRC) Support Battalion, another area of the new Brigade of Gurkhas’ growth. 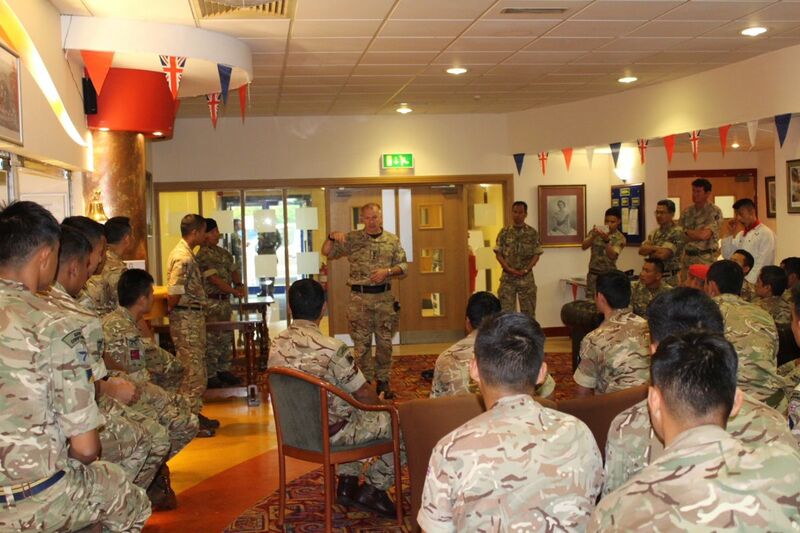 Colonel BG explained that it is his responsibility to ensure that Gurkhas are fully provided for. In Innsworth there is a Gurkha temple, a new Messing Hut built by Queen’s Gurkha Engineers (QGE), which will soon be formally opened by the Princess Royal, and now BFBS Gurkha Radio which will ensure that the Gurkha community are linked to news from across the Brigade and importantly from Nepal. 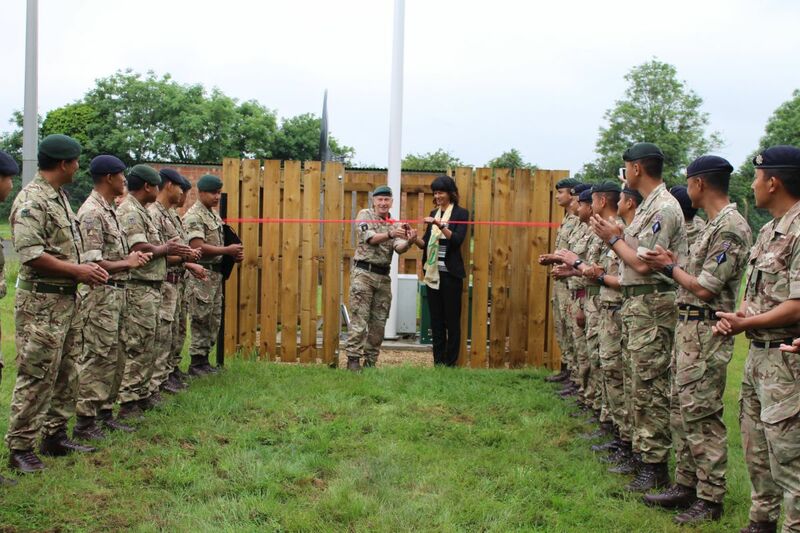 He thanked Nicky Ness and Nick Beer from SSVC for all their hard work and assistance in delivering this project and said he looked forward to working with them on future projects in new locations where Gurkhas are being employed as part of the Brigade’s expansion including Warminster, Abingdon, Hullavington and Salisbury Plain. 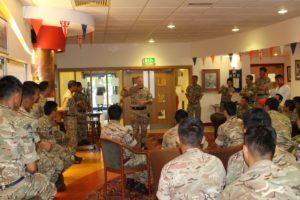 After a curry lunch he then briefed the Gurkha contingent on the Brigade’s plans for growth, explaining there is more coming and to meet this growth the next few years of VEng conversions and promotions will be very high. He assured them that he did not seek to meet the growth through recruiting alone and this would be an exciting few years for those currently serving. 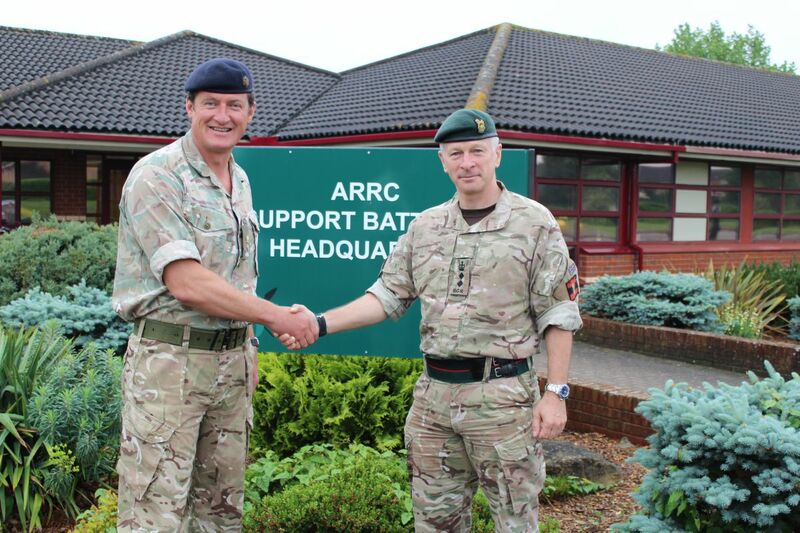 He was briefed on the activities of those in the ARRC Support Battalion – noting the amount of adventure training, sport and overseas deployments carried out over the recent months. 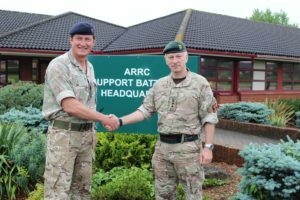 The Support Battalion works with HQ ARRC, the UK’s high level contribution to North Atlantic Treaty Organization (NATO) which will go onto high readiness in 2019.